GameStop is overhauling trade-ins and launching a new program that will wind up giving people more money for the games they sell, Kotaku has learned. The new initiative, which will launch on August 18, will simplify GameStop's trade-in structure, reducing the complexity of what has become an unnecessarily obtuse service. No longer will you have to put your money toward pre-orders or promotions in order to get the most bang for your buck; instead, any games you sell to GameStop will come in at a flat rate, only varying if you want cash instead of credit, or if you're a member of their subscription program. In that chart, think of "0%" as the base level. Instead of having to worry about putting your trade-in money toward new items or Game Informer subscriptions for extra bonuses, all you'll have to do is trade in your games for optimal value. You'll still get less money if you take cash instead of store credit, and you'll still get 10% more with a Power Up Rewards (PUR) subscription, but all of those other bonuses will no longer apply. 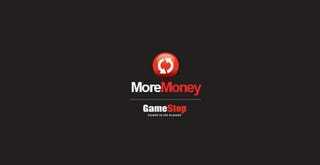 As a result of this change, GameStop will now offer more money for games you sell them. Starting August 18, the retailer will bump up the "average base value" of games they buy by 20%, according to documentation I've obtained. So that copy of NBA 2k8 I traded in on Saturday might now be worth $0.30 instead of the $0.25 I got for it. Or, for a more relevant example, a game that would get you $10 in store credit today (without promotions) might snag $12 starting August 18. "By eliminating the higher end price of products we buy and raising the lower end, we are able to raise the overall value the customers will receive," reads a GameStop document that was passed around internally today. "With this program, we will not have complex multi-tiered trade promotions for the associates to remember and less math for the customer to understand what they are getting for their games." This new initiative marks another step in GameStop's global effort to get people buying and selling used games. Some have criticized the ubiquitous gaming retailer for taking games at a fraction of their costs and marking them up exponentially to sell to other customers, but others love the convenience of being able to dump a bunch of games on GameStop's counter and exchange them for cash or credit. Get used to hearing about this program, too—starting August 18, you can also expect to be harangued by GameStop workers in totally new ways, as the company attempts to phase out the term "trade in" in favor of words like "buy" and "sell." How do I talk about this with the customer? The key point for this to work is the team member knowing what to say and how it resonates with the customer. Piggy backing on how you engage a customer about the change use the following as possible talking points during the greet, floor or cash wrap touch points. Then the team member says- "have you heard that cash isn't the only way to pay here at GameStop?" More than likely the customer will look puzzled and then the team members say- "When is the last time you sold us anything?" Or "when is the last time we bought anything from you?" This is the opportunity to educate the customer that their items sitting at home are worth currency that can be spent in your store. Keep in mind that 2/3 of our customers don't understand what "Trade In" means. The main opportunity is to have the customer leave with the last thing on their mind being that what they have at home, sitting around possibly collecting dust is worth currency-VALUE- in our stores. During the last interaction either on the floor or at the cash wrap, the team member needs to say- "Thank you for coming in today, don't forget that cash isn't the only way to pay." If the customer paid with a credit card they will more than likely look and ask what? The team member responds with "when is the last time we bought some of your items?" Or "when is the last time you sold us something?" Getting the customer to remember the last thing they hear from your team member is that what they have at home can be used as currency to buy goods in your store is the biggest take away. We've reached out to GameStop for comment and will update should they send something over. "GameStop made the decision to simplify the trade-in pricing structure that is part of our buy-sell-trade program based on positive feedback we have received from customers and store managers," said Jason Cochran, senior vice president, pre-owned business. "We anticipate this change to be well-received by our customers as they experience the added value we are now offering them for their pre-owned video game and consumer electronic products." "Last year, GameStop issued over $1.2 billion of trade credits with more than 70% of that applied to the purchase of new products," said Cochran. "We want to provide our customers the best value for their trade and we believe customers will be pleased with this new simplified pricing."